"My name is Heidi Yetman. I am the Pearson Teachers Union President (PTU) and I am speaking on behalf of all the wonderful teachers of the Lester B. Pearson School Board. As educators, we teach our students about becoming critical thinkers; we teach them how to become good citizens. The school board�s vision includes, 'respect for self and for each other'. This dark cloud which is sitting over the school board is harmful to the reputation of our work as teachers. I�m hoping that the school board will do the right thing. Transparency is imperative and public education should remain public." 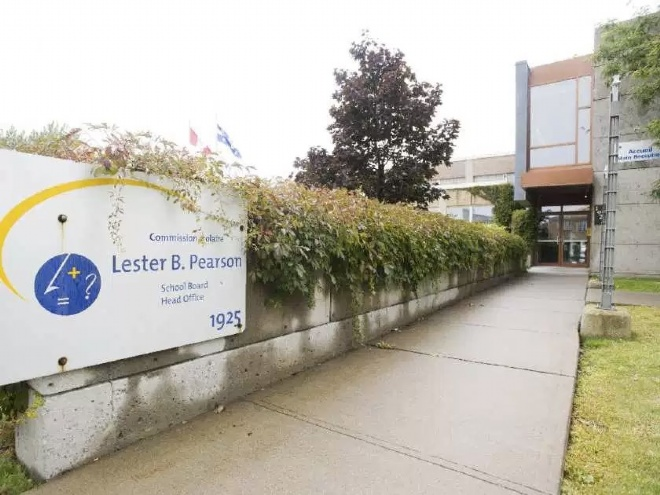 These past few weeks have been challenging for the Lester B. Pearson School Board (LBPSB). In September, at the first Commissioners meeting of the 2016-2017 school year, two announcements were made: an employee was terminated and three complaints from the public were submitted against a commissioner for ethics violations. From the very beginning, I believed that the two announcements were linked. They had to be, and they were. Of course, since then we have found out that the employee who was terminated was Carol Mastantuono, Director of the International Program and that the Chairman of the board, Suanne Stein Day, was the accused commissioner. Carol Mastantuono and fifteen other employees signed a letter of complaint accusing Suanne Stein Day of spreading "slanderous and libelous remarks (that) range from criminal allegations in terms of misappropriation of funds and embezzlement to salacious claims of respected members participating in sexual affairs." I�ve always mistrusted the International Program. Before being elected as the president of PTU, I had attended many Education Policies Committee meetings and I had asked: �How much money does the International Program make? Where is all the money? Why aren�t the teachers getting the support they need? Why aren�t these students getting any English second language classes?� My questions were never answered. Carol Mastantuono attended two of those meetings and she was not forthcoming. In late November of this year, Carol stepped forward to proclaim that the International Program generated 20 million dollars a year. Last year, there were over 1000 International students in the vocational and youth sectors. I was able to obtain a copy of a letter for a student enrolled in a two-year vocational program and the tuition fees were $23,000 plus $1,600 in insurance fees. You do the math! This program has never been transparent and the school board has a lot of explaining to do. I�ve always believed, especially in the youth sector, that the International Program was a private school weighing heavy on the back of the public system. In the end, it�s our students who are jeopardized. Teacher�s workloads are already tremendous and these programs add more pressure on teachers who are already on the brink of collapse. Our government needs to invest in education to prevent school boards from creating private enterprises to subsidize their spending. I�m actually delighted that the Minister of Education has announced that both the LBPSB and the English Montreal School Board (EMSB) are being audited and investigated by Quebec�s anti-corruption unit (UPAC). Finally, perhaps we will get some answers. Teachers are the most hardworking compassionate people I know. Teachers do not choose this profession to make money; they do it because they love to teach. Each time I walk into a school I�m reminded of that passion. In spite of that, there are some individuals, past and present, at the school board that have forgotten the true purpose of education. They are disconnected from the classroom. The consequence of their greed and narcissism is a dark cloud over an amazingly noble profession. Shame on them! An exert from the letter of complaint signed by 16 employees of the school board.